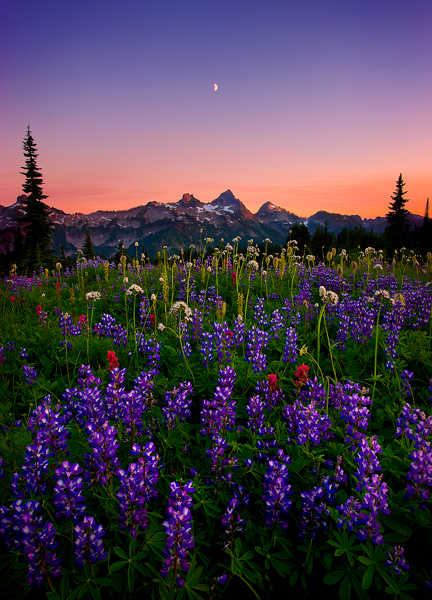 Lush fields of wildflowers stretch on toward the mountain peaks of the Tatoosh Range at twilight. Rainier National Park, Washington. Photo © copyright by Marc Adamus.